Being a contrarian-minded investor isn’t easy at times—it’s difficult to stay fixed to one’s long-term convictions when the markets may not be cooperating in the short term. Dr. Michael Hasenstab, CIO of Templeton Global Macro, certainly has strong convictions about many aspects of the global economy and markets—and is not afraid to act on them. Speaking at the Morningstar conference in June, Hasenstab outlined the Global Macro team’s strategy and potential opportunities they see within three tiers: developed-market currencies, US Treasuries and emerging markets. We are currently focused on directional valuation opportunities in three primary areas of the global bond markets: developed-market currencies, US Treasuries and local-currency exposures in emerging markets. These areas offer some profound opportunities, in our view—perhaps the best in decades in some cases. Our view on the major currency pairs (US dollar/euro, US dollar/yen, US dollar/Australian dollar) boils down to divergences in global monetary policies. The US Federal Reserve (Fed) has already stopped its post-2008-2009 financial-crisis quantitative easing (QE) program and was the first major central bank to tighten policy. By contrast, the Bank of Japan (BOJ) and the European Central Bank (ECB) have been deploying additional QE and expanding their balance sheets. In our view, these central banks are nowhere near a position to do anything other than continue to print money and provide ultra-accommodative policy. Ultimately, these divergences represent the cornerstone of our thesis; the US dollar should re-exert itself against both the euro and yen. The Fed: Facing a Credibility Problem? At the beginning of the year, most market observers thought the Fed was going to raise interest rates 100 basis points over the course of 2016; then that expectation quickly collapsed when the Fed reduced its targeted pace of hikes for the year from four to two. In response, the market began pricing in one rate hike or even no rate hikes for 2016. There were even fears that the United States would be experiencing deflation or recession. We do not see deflationary conditions in the United States; in fact, we see more risks of inflation moving higher than lower. When we evaluate the Fed’s dual mandate of maximizing employment and stabilizing inflation, we see a pretty healthy labor market, one that is getting back to pre-2008-2009 crisis levels, or even getting back to levels not seen since the 1970s. Even wage growth (which operates with a lag) is starting to move higher while underlying inflation pressures remain persistent. From a labor market perspective, we think it is hard to justify maintaining interest rates at zero or to pursue a negative-interest rate policy in the United States. We would argue the Fed should be raising rates sooner rather than later to avoid losing credibility. By contrast, Europe’s financial crisis trailed the financial crisis in the United States by a couple of years, and Europe’s growth cycle and policy response have likewise been lagging; it makes sense that inflation in Europe has lagged the United States as well. These differences in inflation dynamics should put the Fed in position to tighten before either Europe or Japan, but it appears the markets do not seem to agree with us and do not believe the Fed will raise rates as we believe it should. Throughout history, central bankers have typically stated their rationale for raising interest rates well before inflation has actually flared up. It seems like the Fed is operating differently today; it is waiting until after it sees inflation. We could then see the long end of the yield curve become somewhat unhinged despite all the financial suppression factors that have been holding it down. The central scenario is a rate-normalization (upward adjustment) will occur, but the more extreme scenario is that maybe that normalization comes in the more distant future. Thus, our strategy has been focused on a short Treasury posture to help protect against that potential risk of higher rates. 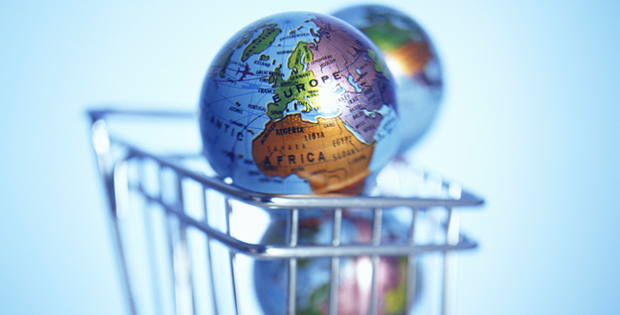 A discussion about emerging markets generally requires some view on China. 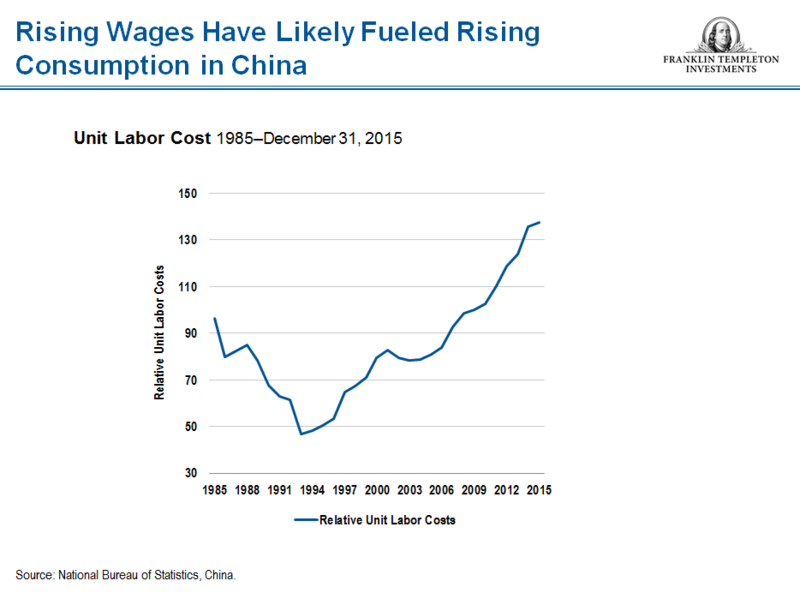 We still believe China is experiencing a soft landing (not a hard landing); there is a structural adjustment taking place that is causing a deceleration in growth but not an implosion. Certainly, areas of the old industrial-based economy are in recession, but counterbalancing support is coming from domestic consumption. These changes in the domestic dynamics are a result of demographic shifts that occurred as the population began to age. When the supply of labor started to drop, wages were pushed up, and that in turn pushed up consumption. People are not consuming more because of a policy-directed stimulus such as tax rebates, for example; they are consuming more because they have more to spend. 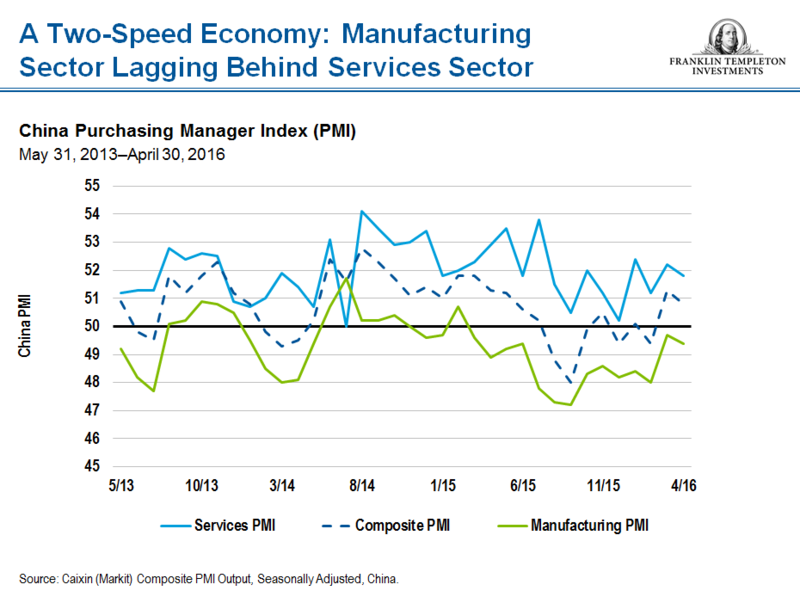 This has caused some huge relocations in the Chinese economy; it is no longer going to be a huge manufacturing base, but there are positive dynamics from the shifts to the service sectors. Some analysts believe that China is already experiencing a hard landing and say that official economic numbers showing otherwise are inaccurate. However, wages would not be increasing if the country were experiencing a widespread recession with major job losses, yet wages continue to rise. Additionally, if China’s economy were only growing in the low single-digits (say 3%), we would see greater social unrest. We are not seeing that; rather, we see a thriving service sector, productivity innovations and a growing middle class. In sum, despite the overcapacity on the manufacturing side in China, which has been contracting, we see a soft landing for the overall economy. China may not be experiencing off-to-the races growth, but it certainly is not experiencing a collapse, as many people often conclude by only looking at the manufacturing side of the economy. The other pocket of strength in China has been the housing market. This resurgence has raised some questions about a potential bubble forming. If the government overstimulates the housing market on a national level, we would be on the lookout for a correction. However, at this point we think China’s housing market is still in an appropriate acceleratory phase—certainly in the tier-two or tier-three cities—and consumption should be supportive for at least the next year or two. Emerging markets have probably been the most-hated asset class for the last two years. 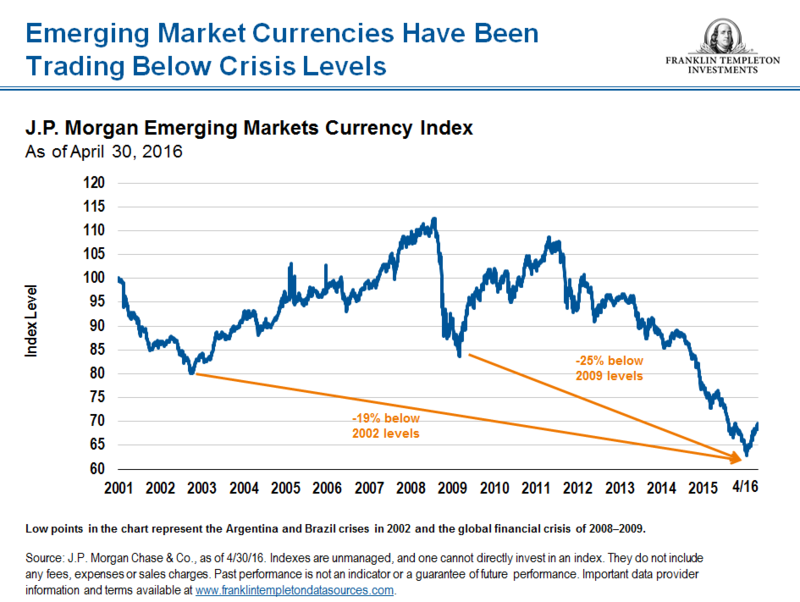 The J.P. Morgan Emerging Market Currency Index plunged not only through its lows during the global financial crisis, but also through the lows it reached during the Asian financial crisis in the 1990s.1 Part of this was tied to the markets pricing in future Fed rate hikes and part of it was tied to specific crises in some countries. Certainly, Brazil has experienced a severe economic slowdown amid a toxic policy mix that caused the economy to implode. That type of situation coupled with concerns about China caused people to pull their money out of the emerging market asset class as a whole, but in our view, the markets overshot on the downside. Last year and early this year, I spent a lot of time visiting countries in Asia to see if market valuations accurately matched the underlying fundamentals. Indonesia was one of those countries. The markets seemed to be conveying that Indonesia’s economy was as bad as—or worse than—1988, when they had riots in the streets, a government collapse, corporate bankruptcies and a massive economic recession. Indonesia experienced growth of 4.8% last year2 and appears to have a stable regime with a very good president who has been tackling issues that have not been addressed in decades. The current account appears to be relatively in balance, and we do not see massive corporate bankruptcies. Those and other indicators were not screaming crisis to us. Instead, we became convinced that the markets were overreacting and that Indonesia represented an attractive investment opportunity. Mexico is another excellent example. The markets have been pricing in a crisis—perhaps worse than the “Tequila Crisis” of the mid-1990s. But we do not see it. Growth has been solid, inflation appears relatively under control, and Mexico continues to have fairly manageable debt, almost all of which is domestic debt. 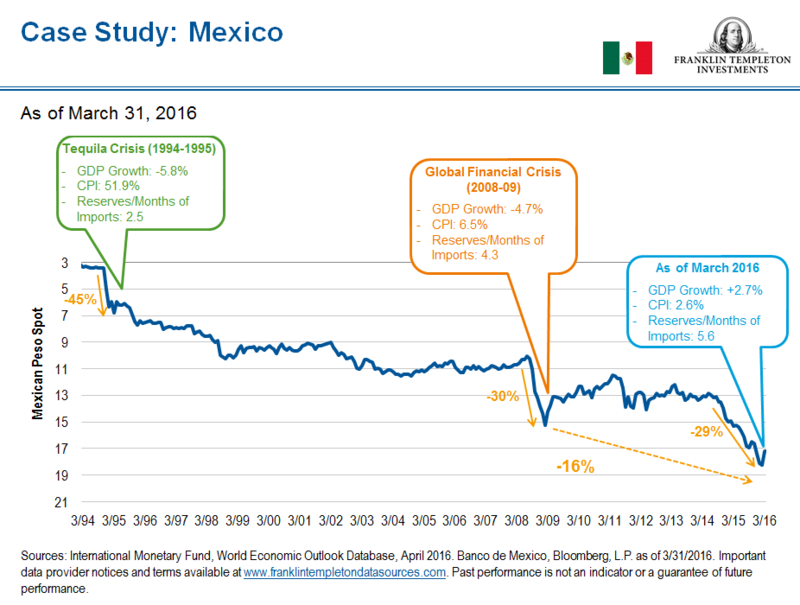 Mexico is a country we feel should be able to absorb the impact of a Fed rate hike. In fact, when the Fed raised rates in December 2015, the Bank of Mexico followed with policy tightening. Mexico also continued to make responsible fiscal adjustments by cutting its budget to cope with the impact of lower oil prices. These policy moves at the time helped bolster the Mexican peso, and we see indications that Mexico can and will continue with these types of policy responses. Of course, there are also a handful of countries that are more vulnerable to external shocks such as a Fed rate hike—these include countries like Turkey, Venezuela, South Africa and Argentina. But on the whole, we believe the majority of emerging market countries do not have the magnitudes of vulnerabilities that markets have priced in. It seems that people know emerging markets are not all the same but market behavior hasn’t recently reflected the differences. When investors crowd together and directionally overreact, that often indicates an opportunity—we see that currently playing out in emerging markets. We think it is essential to go in and be selective within the category and not to just buy into the broad asset class as a whole. 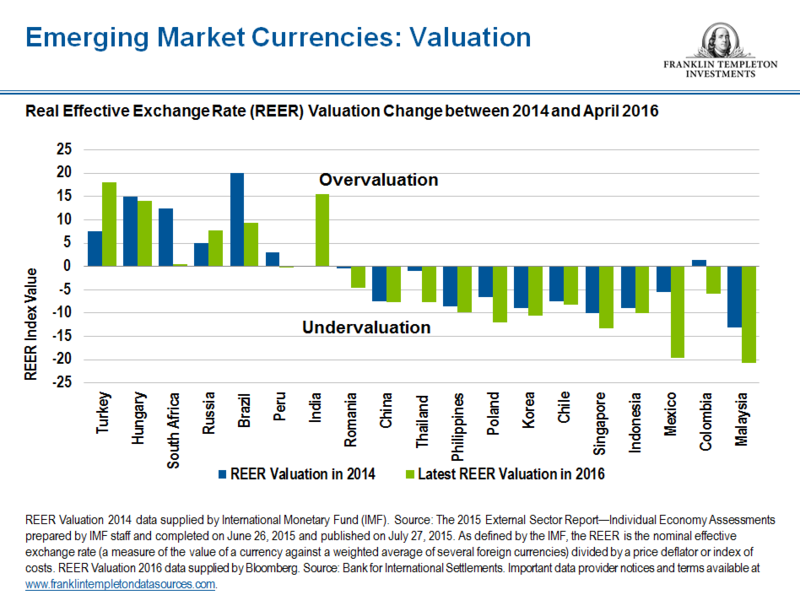 There are some overvalued exchange rates, and at the same time there are some undervalued exchange rates. It is important to recognize those differences in order to capture the strongest valuation opportunities while avoiding the areas that are legitimately vulnerable. The real challenge from our perspective is finding countries that may be in a crisis but appear to us to have a workable way of exiting that crisis. In the past, we have often taken contrarian views on specific countries that were in such a position. Recently, Brazil appeared on our radar as a country in crisis that we believe has the ability to recover and find its way out. We do not invest in countries simply because they are in crisis; rather, we look for opportunities where we believe the markets have overpriced the risks and underappreciate the longer-term fundamental potential of the country. Regarding Brazil, it’s our view that President Dilma Rousseff drove Brazil into crisis with a potent policy mix. But with the impeachment process under way, we see the country politically reversing course and heading in the right direction. We recognize how and why things went wrong in Brazil and we see how the country’s current political regime appears to be rectifying the situation. The Dilma administration forced the central bank to cut interest rates to an exceptionally low level, leading to high inflation and financial instability. Those policies have now been reversed; significantly higher interest rates have been put in place to rein in inflation and restore financial integrity. Additionally, Brazil’s outlook is supported by the fact that it does not have a lot of external debt, so its fiscal issues do not have to be fixed right away. The country will have to deal with some structural issues ultimately, but it does have the benefit of time given the relative health of its external conditions. If the new administration follows through on its plans to stop the excesses of the past, we believe Brazil has significant potential over the longer term; the country would meaningfully benefit from a stable regime that can correct the policy mix. Overall, we continue to believe that several areas within emerging markets present once-in-a-decade opportunities, though it is important to recognize that the asset class is not uniform and that there are specific vulnerabilities that should be avoided. We remain very optimistic about several of these opportunities in the local-currency markets, and believe that patience will ultimately be rewarded. For a more detailed analysis, read “Global Macro Shifts,” a research-based briefing on global economies featuring the analysis and views of Dr. Michael Hasenstab and senior members of Templeton Global Macro. Dr. Hasenstab and his team manage Templeton’s global bond strategies, including unconstrained fixed income, currency and global macro. This economic team, trained in some of the leading universities in the world, integrates global macroeconomic analysis with in-depth country research to help identify long-term imbalances that translate to investment opportunities. All investments involve risks, including possible loss of principal. The value of investments can go down as well as up, and investors may not get back the full amount invested. Bond prices generally move in the opposite direction of interest rates. Thus, as the prices of bonds in an investment portfolio adjust to a rise in interest rates, the value of the portfolio may decline. Special risks are associated with foreign investing, including currency fluctuations, economic instability and political developments. Investments in developing markets, of which frontier markets are a subset, involve heightened risks related to the same factors, in addition to those associated with these markets’ smaller size, lesser liquidity and lack of established legal, political, business and social frameworks to support securities markets. 1. Source: J.P. Morgan Currency Index, April 30, 2016. Indexes are unmanaged, and one cannot invest directly in an index. They do not reflect any fees, expenses or sales charges. Past performance is not an indicator or a guarantee of future performance. See www.franklintempletondatasources.com for additional data provider information. 2. Source: IMF World Economic Outlook database, April 2016.